Previous Pokémon games had several differences between the two versions. In all games there were different Pokémon in different locations and Ruby & Sapphire took it further by having a different storyline between the games and Black & White took it further to take areas and battles to be different. 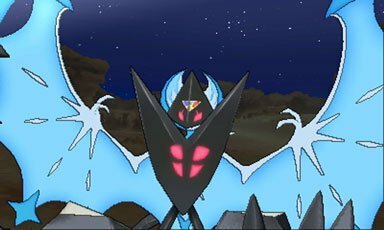 Pokémon Ultra Sun & Ultra Moon continue the theme of differences This page will detail all the non-Pokémon Version Exclusives. 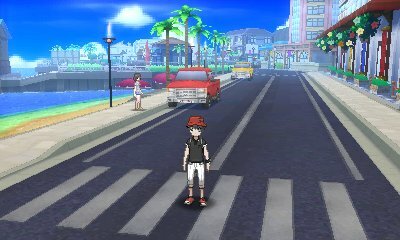 The biggest and most notable change between Pokémon Ultra Sun & Ultra Moon is the change to the time of day. 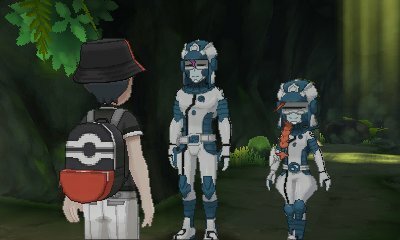 Pokémon Ultra Sun & Ultra Moon have a 12 hour differentiation, with Pokémon Ultra Sun being set by normal time and Pokémon Ultra Moon being set by a different time. 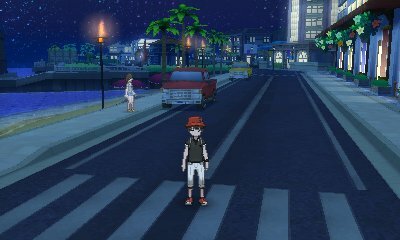 This means that if playing Pokémon Moon in the daytime, night shall be experienced. As such, encounters and even some in-game events will differ. In the game, you will play through the various Island Trial Challenge and towards the end of them, you will face up against a more powerful Totem Pokémon. In the Verdant Cavern of Melemele Island, the Totem you face will differ between the games. 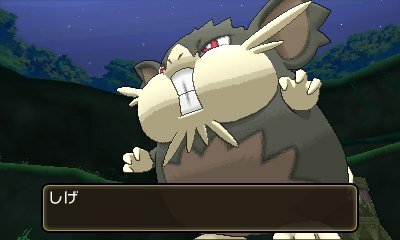 In Pokémon UltraSun it is Gumshoos, and in Pokémon UltraMoon it is Alolan Raticate. When you come to Mina's trial, there will also be some difference in trainers you battle. In Ultra Sun you battle Mallow and Sophocles while in Ultra Moon you battle Lana and Nanu. In addition to this, the special Totem Pokémon from Totem Stickers vary depending upon the game. 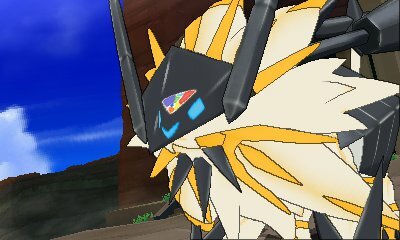 While the story remains largely the same between the two games, the culmination at the end has a different Pokémon that Nebby evolves into and then Necrozma takes over. This is mirrored by the Cosmoem you evolve in the game later on. Clothing is another version exclusive. There are multiple outfits, mostly just colours, which are version exclusive. Ultra Sun has the colours Red, Yellow, Orange, Pink & Beige while Ultra Moon has the colours Green Blue, Navy Blue, Purple & Grey. 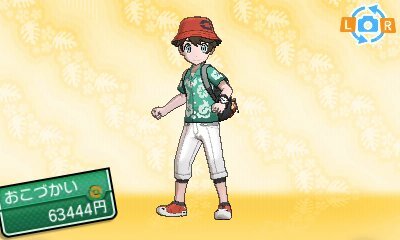 These clothing options however can be purchased through the Festival Plaza when you encounter other players wearing them. One version exclusive feature is in regards to Sandygast. 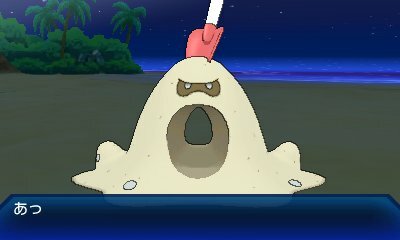 In Ultra Sun, you will find a Sandygast in Route 14, unhappy with its location. Move it to get a Stardust. 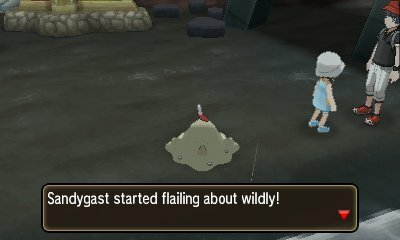 In Ultra Moon, in Route 15, you will encounter the Sandygast on the beach, but it will attack you and can be captured. During the game, you can battle various Trial Captains after completing their trial. However, there is a difference. 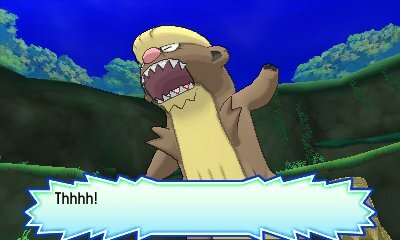 In Pokémon Sun, you have the ability to meet and battle the Fire-type Captain, Kiawe while in Moon you have the ability to battle the Grass-type Captain, Mallow. Festival Plaza is another feature with Version Exclusives. As you level up through the plaza, you will be given a variety of different stores you can use to gain access to more activities. However, some of these stores, or in most cases the higher ranks of them, can only natively be obtained in one game or the other. They can, however, be obtained through interacting with other players who have them. 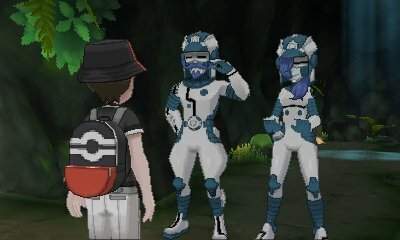 In the Battle Tree, after defeating them, you have the ability to scout a variety of trainers. However, some of these trainers are exclusive to each version and you cannot battle or Scout them in the other version.